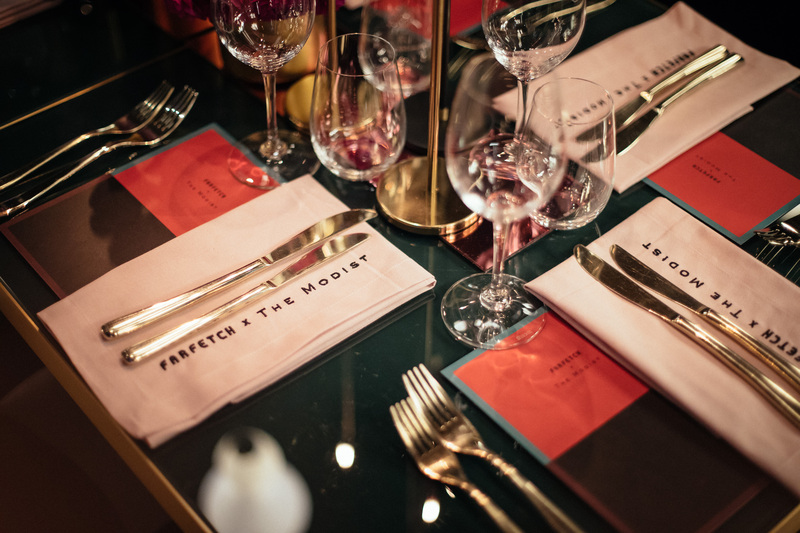 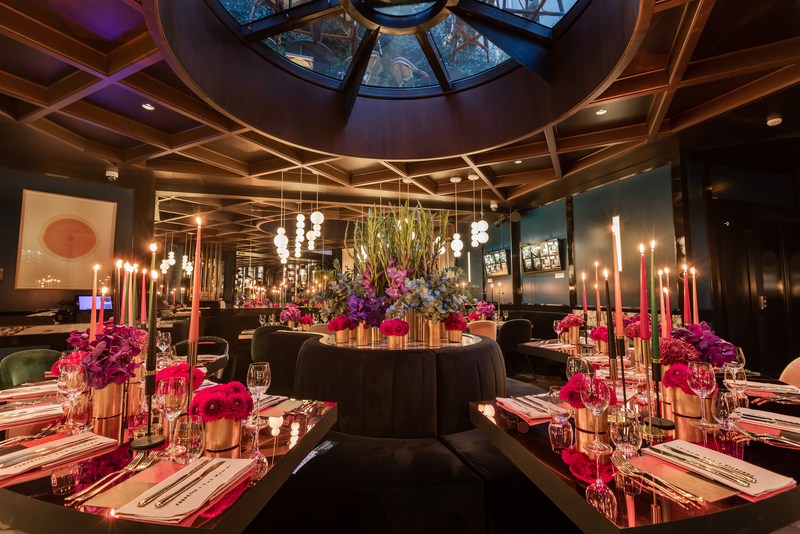 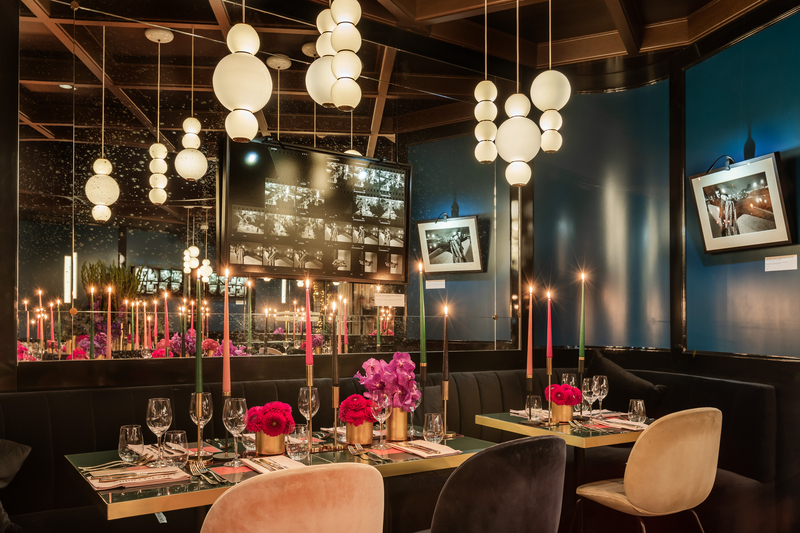 Dubai-based luxury retailer The Modist along with the e-commerce site Farfetch hosted a dinner at The Roch hotel during Paris Fashion Week, celebrating the launch of a 10-piece Layeur capsule collection on Farfetch. 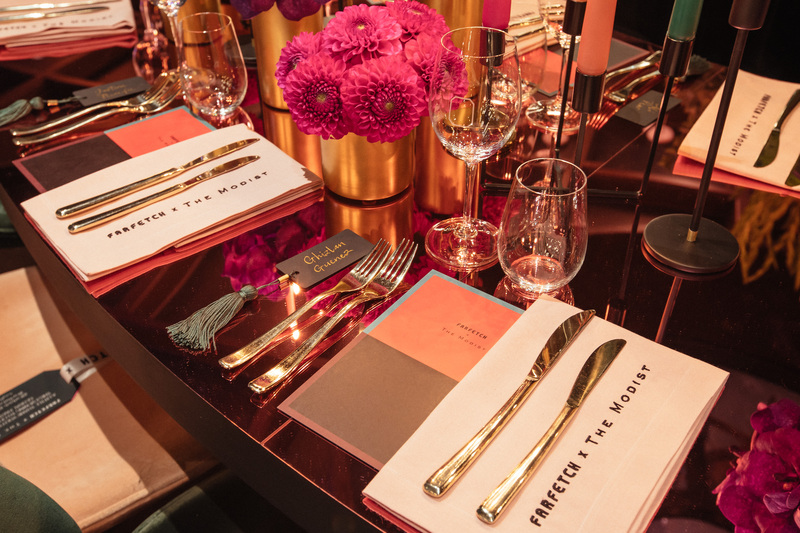 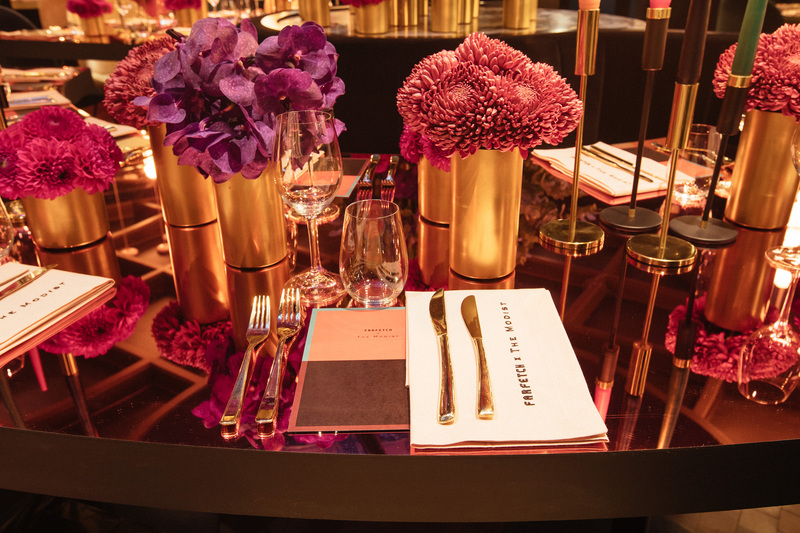 Taking inspiration from the new collection, featuring metallic 80s fabrics and graphic prints, I designed the dinner around a palette of hot pinks and turquoise with accents of brass. 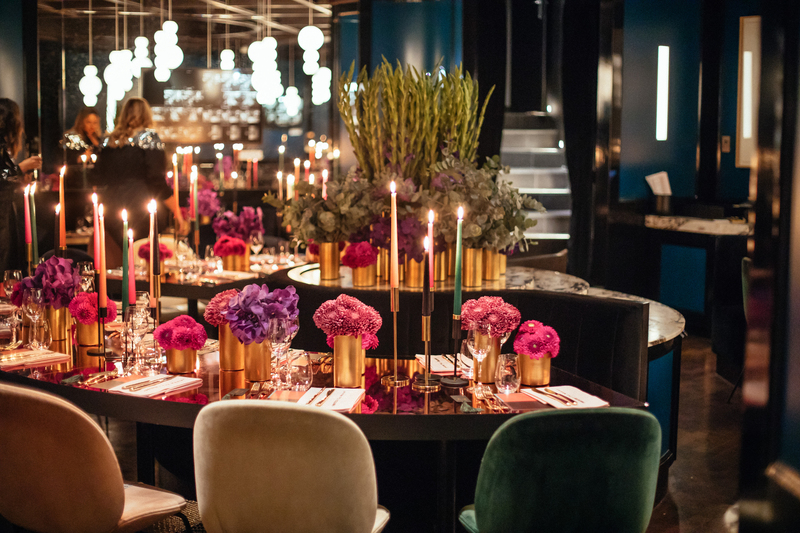 A bespoke perspex, semi-circular table top was built around the existing central banquette and featured embroidered pale pink napkins and emerald green tassel place cards.